Chief nursing officers at skilled nursing facilities are increasingly expected to aggregate clinical data to understand and promote positive outcomes. But all members of the care team should have an interest in data to improve care. And no wonder. Data and everything it represents affects and controls virtually every input and output inside a facility. Nursing homes acknowledge the power of that information and the responsibility they have to manage it well so everything from rehospitalization rates to receivables stay low and Five-Star ratings and lengths of stay remain appropriately high. The tasks of herding and analyzing all of that data and working with IT partners, therefore, are as critical as ever. The digitization of data may have occurred years ago, but only recently have nursing facilities begun to truly grasp its importance. Experts agree the size of a skilled nursing facility, the depth of its staff and whether it can tap into the vast resources of a chain usually determine how data is managed internally. Here’s how experts view key internal stakeholders’ roles. As the title implies, CFOs are typically responsible for all things financial — from labor costs and their relation to scheduling, receivables, expenses, revenues and profits. CFOs also typically should sit on business intelligence committees to evaluate investment performance, observes Brian Dimit, vice president of professional services for CareServ. COOs are typically concerned with data related to regulations. 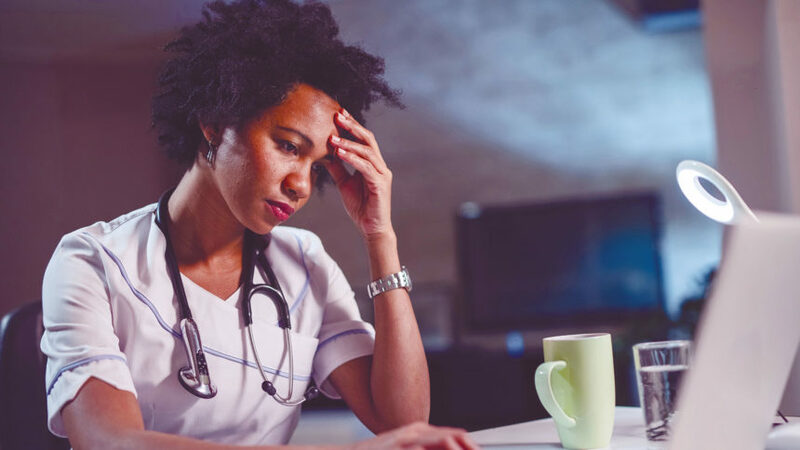 For example, a COO may need to identify metrics within nursing and how they relate to government regulations such as census, per-patient days, scheduling, readmissions and hospital leaves, says James Stormoen, vice president of client solutions for vcpi. Two words: big picture. “They’re concerned with overall vision and strategic metrics such as trending, market and competition and how the data gets used,” says Stormoen. Some would argue that CNOs are rising figures in the internal data hierarchy — and for obvious reasons, around outcomes and quality. They also can play a vital role in business intelligence. As critical as these roles are, some believe data management should not be concentrated solely in the C-suite. Multiple stakeholders have a shared interest in analytics and outcomes within the SNF, argues Kelton Swartz, senior solution strategist, post-acute analytics and intelligence for Cerner. “These and other interested parties should collectively review analytics daily and collaborate on areas where there are direct influences on the goals and thresholds that are either met or not met through the data,” Swartz says. Make sure that there’s a high-quality framework for data collection and dispersal, advises Netsmart’s Dawn Iddings, the senior vice president and general manager for post-acute. Nurse leaders also may want to invest in real-time data platforms to improve quality measures. That also allows more flexibility to zero in on a particular issue, and discuss whether practical interventions are successful. Solid arguments are made about the division of labor when it comes to managing data internally. Still more are made about the need for a point person. In smaller facilities, the job often falls on the shoulders of the one individual “who’s most proficient with Microsoft Excel,” observes Price. No doubt a skillful analytics person is invaluable. But consider the role of a chief information officer. Likely the closest any “C” title comes to being the “Big Kahuna” of data, the CIO corrals, or aggregates facility-wide data, and in general, is responsible for coordinating and disseminating, says Stormoen. CIOs also are likely to know more about the right platforms and the various inputs and outputs of applications. Whoever wears the title, “when multiple functions are using the same data, an organization needs a ‘data quarterback,’” says Justin Silver, executive vice president of corporate development for ABILITY Network. This role ensures that data is aggregated and organized so that it can be analyzed and deployed in a meaningful way across areas where action is taken based on these insights, such as clinical and finance, he adds. Price agrees. “The CIOs I’ve spoken with are the primary stakeholders who rely upon the analytics and data access services that we provide,” he says. “They are managing inbound requests for information that spans the enterprise and must be aware of which vendor or internal tools to deploy for an answer.” The CFO, CNO, DON and other leaders in the SNF, meanwhile, all contribute to the stream of needs that are serviced by the CIO’s ability to deliver information at the right level of detail, in the right format and at the right time. This speaks to what all IT vendors believe: Ownership is one thing, but the management and use of data is a group effort. “Everyone is using data today to drive decisions and nursing home staff continue to struggle with just the language of analytics,” says Field. With so much emphasis today on outcomes and resident care, quality assurance committees are a logical place for control to be centered, she adds. Silver also believes analytics can thrive as a group effort. When it’s time to go out and find the right data analytics partner, who should take the lead with vendors when it’s time to “talk shop,” or make purchases? Some say it’s the same individual many identified as the “owner” of analytics. “Finding a data analytics partner should be led by the information technology staff, since the nature of this process is the purchase of technology,” says Doron Gutkind, chief software architect for LINTECH. He adds, however, that clinical, financial and operational business users should be an integral part of the process because they can evaluate whether the technology fits or the partner has any experience with their line of business. Still others favor the group approach.